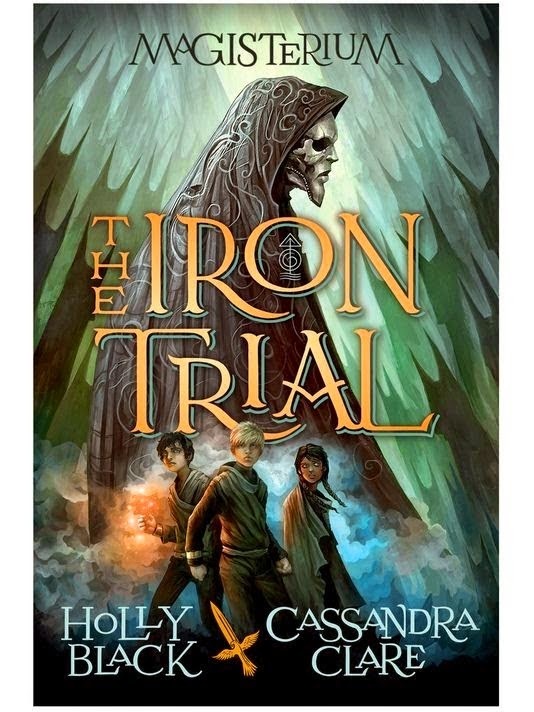 "From two bestselling superstars, a dazzling and magical middle-grade collaboration centering on the students of the Magisterium, an academy for those with a propensity toward magic. In this first book, a new student comes to the Magisterium against his will -- is it because he is destined to be a powerful magician, or is the truth more twisted than that? It's a journey that will thrill you, surprise you, and make you wonder about the clear-cut distinction usually made between good and evil." Wow, this sounds so good. I've recently fallen in love with Cassandra Clare after reading the first of The Mortal Instruments books, City of Bones, so if she's involved it has got to be great, right?! Not going to lie, I've never read anything by Holly Black before but this sounds like a lot of fun and I am in love with the cover! I cannot wait for this one! I have seen a lot of people with an ARC of this from BEA and it looks so good. I have read all of CC's books so it will be interesting to see what she does when it comes to outside of the shadowhunter world.